At the start of Tuesday, 10 players had (basically) an equal shot at a gold bracelet in Event #20: $3,000 No-Limit Hold’em Shootout. 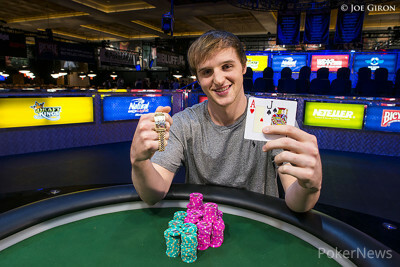 Three players - Taylor Paur, Chris Bell, and Phil Galfond – were looking for their second bracelet, but it was Kory Kilpatrick who topped them all, capturing his first piece of World Series of Poker gold. Kilpatrick, a Georgia native, bested Eric Wasserson heads up to earn $254,891 and the title. He now has nearly $700,000 in career live tournament earnings, and this is his largest score by nearly double. In 2013, Kilpatrick finished third in a Hollywood Poker Open event in Lawrenceburg, earning $129,641. This marks his first live tournament win. The runner-up finish for Wasserson was also his largest live score. The Pennsylvania cash game pro earned $157,490 for second place, and now has nearly $400,000 in career live tournament earnings. 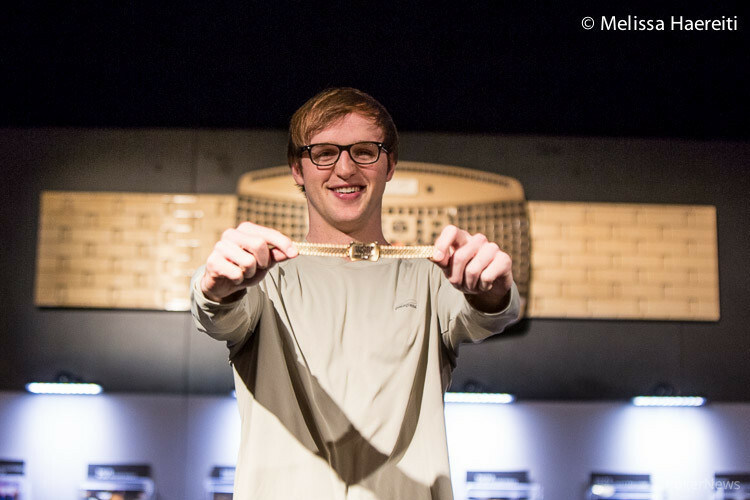 Wasserson delivered several bad beats at the final table – cracking kings with ace-queen, and ace-king with ace-jack – and on the final hand he was once again dominated, this time by Kilpatrick. Kilpatrick’s held against Wasserson’s as the board ran out . 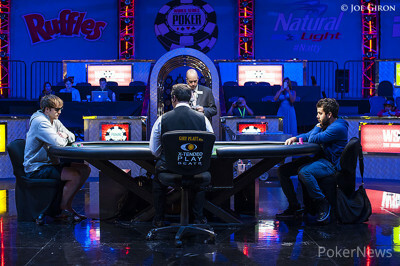 Paur, Galfond, and Bell all fought valiantly for what would have been their second WSOP gold bracelet, but they were all eliminated consecutively in seventh, sixth, and fifth places respectively. Paur ran pocket eights into Noah Bronstein’s pocket jacks; Galfond’s ace-four suited was dominated by Jack Duong’s ace-jack suited; and Bell’s ace-queen was dominated by Wasserson’s ace-king. In all of those all-in hands, the superior hands held up. 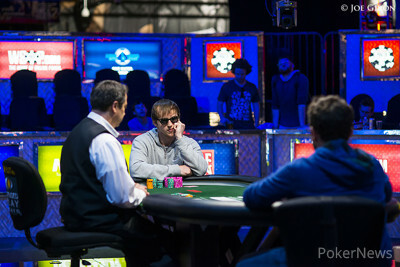 Over three hours lapsed before there was an elimination at the final table. Narenda Banwari found himself with a short stack, and he lost a race with pocket sevens against Duong’s ace-jack suited. Another three-and-a-half hours passed before Dylan Linde busted in ninth place – Wasserson cracked his kings – and not long after Michael Stonehill lost a race to Duong and exited in eighth place. 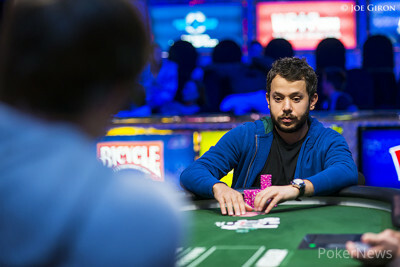 Two hands after Bell was eliminated in fifth place, Duong busted in fourth. He moved all in on a completed board of , and Kilpatrick snap-called with . Duong revealed that he had a straight with , and was off to the cage to get paid. 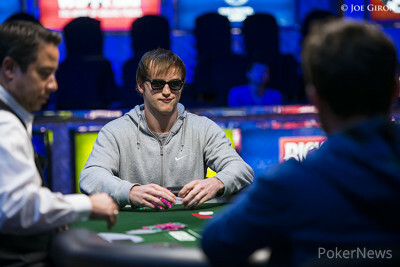 Bronstein held the chip lead at one point during the final table, and tripled up with aces when he became the short stack during five-handed play, but was unable to extend his run past third place. He moved all in for 20 big blinds or so with pocket fives and was racing against Kilpatrick’s ace-eight off-suit. The turn card was an eight, and Bronstein was sent packing. That does it for our coverage of Event #20 of the 45th-annual World Series of Poker, but stay tuned as we offer coverage for every single bracelet event. Until next time, good night from Las Vegas! Hand #247: Eric Wasserson raised to 60,000, Kory Kilpatrick three-bet to 175,000, and Wasserson moved all in for 850,000. Kilpatrick quickly called. Kilpatrick had Wasserson dominated, and remained ahead after the flop and the turn. Wasserson stood up from his chair, readying his things to exit the Mothership, and Kilpatrick looked up at him. "Don't you walk away," he said, smiling. The on the river was no help to Wasserson, and he was eliminated in second place. He's off to the cage to collect $157,490, while Kilpatrick will take home $254,891 along with his first WSOP gold bracelet. Hand #241: Kory Kilpatrick received a walk. Hand #242: Kilpatrick raised to 60,000 on the button, Eric Wasserson defended his big blind, and the flop came . Wasserson check-called a bet of 60,000, the turn was the , and Wasserson checked again. Kilpatrick bet 150,000, and Wasserson folded. Hand #243: Kilpatrick received another walk. Hand #244: Kilpatrick limped in on the button, Wasserson checked, and the flop was all clubs; . The turn was the , Wasserson tossed out a min-bet, and Kilpatrick called. The river was the , Wasserson checked, and Kilpatrick fired 50,000. Wasserson called, then mucked when Kilpatrick revealed for a flush. Hand #245: Wasserson raised to 60,000 on the button, and Kilpatrick folded. Hand #246: Kilpatrick raised to 60,000 on the button, and Wasserson folded. Hand #238: Kory Kilpatrick raised to 60,000 on the button, Eric Wasserson called in the big blind, and Wasserson check-called a bet of 50,000 on a flop of . The turn was the , Wasserson checked again, and Kilpatrick fired out another 85,000. Wasserson check-raised to 225,000, and Kilpatrick tank-called. The river was the , Wasserson led out for what looked like 300,000 or so, and Kilpatrick instantly folded. Hand #239: Wasserson limped in on the button, Kilpatrick checked, and the flop came . Kilpatrick check-called a bet of 30,000, and both players checked on the turn ( ) and the river ( ). Kilpatrick won the pot with . Hand #240: Kilpatrick raised to 60,000 on the button, Wasserson three-bet to 175,000, and Kilpatrick called. The flop fell , Wasserson led out for 125,000, and Kilpatrick called. The dealer burned a card then delivered the on the turn. Wasserson quickly checked, Kilpatrick placed 325,000 in front of him, and Wasserson unhappily folded. Hand #233: Eric Wasserson min-raised to 60,000 on the button, Kory Kilpatrick called, and the flop fell . Both players checked. The turn was the , Kilpatrick led out for 75,000, and Wasserson folded. Hand #234: Wasserson received a walk. Hand #235: Wasserson was on the button, and raised to 60,000. Kilpatrick called, the flop fell , and Kilpatrick check-called a bet of 60,000. The turn was the , Kilpatrick quickly checked, and Wasserson knuckled behind. The completed the board, Kilpatrick led for 85,000, and Wasserson quickly called. Kilpatrick showed for king-high, which was no good against Wasserson's for jacks and sevens. Hand #236: Kilpatrick raised to 60,000 on the button, winning the blinds and antes. Hand #237: Wasserson raised to 60,000 with the button, Kilpatrick defended, and the dealer fanned . Both players checked. The turn was the , the two checked again, and the completed the board. Both players cheked again, and Kilpatrick won the pot with .